Holly Farm is arguably the biggest and best stillwater fishery complex in South Leicestershire. 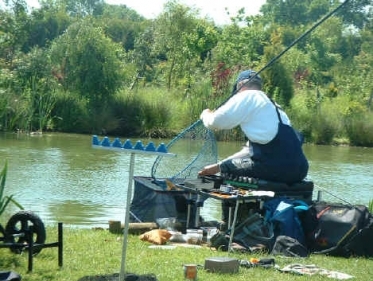 With two lakes and in excess of 100 pegs in total, we cater for all anglers of all abilities and offer superb sport in a rural setting. The two lakes, Gils and Trotters, are stuffed with a variety of species, but Carp are the fish Holly Farm has become most famous for and now 100lb nets are common place throughout the year. We also have 10 caravan pitches on site as well, making Holly Farm a splendid place to spend a few relaxing days.